“Supergirl” stuntwoman and ex-pole vaulter Jessie Graff is about as close to a real-life superhero as we have, so enjoy her athletic brilliance while she shines. Then be sure to appreciate the really cool stuff she does now for the CW, and formerly, for CBS. Graff crushed “American Ninja Warrior’s” nearly impossible Stage 1 last night, making her the first woman to ever complete the insane obstacle course in the national finals. And she did so with flair, a shiny green skirt and 12 seconds to spare. Super girl (err, woman), indeed. Graff was actually the first female to even scale Stage 1’s Warped Wall, which is what took her down last year. Everything beyond that feat this time around was pure gravy. After that, when the inevitable neared reality, the NBC competition announcers declared that “the internet is about to blow up.” It did exactly that. Over her entire run, completion of the course never really seemed in question, as Graff made it all look pretty routine. It was anything but that though, of course. Next up for Jessie: “American Ninja Warrior’s” daunting Stage 2. She’ll be the first woman to take it on, and hopefully, the first to destroy it. We would never bet against her. “American Ninja Warrior” airs Mondays at 8/7c on NBC. There's just one problem, however -- CBS still needs to program that hour, and as such, the Melissa Benoist vehicle must now start against TV's top comedy, the powerhouse "Big Bang Theory." "Rosewood" has proven to be a much-weaker performer without "Empire" behind it, so a move to Thursday and a "Bones" pairing could be quite problematic. 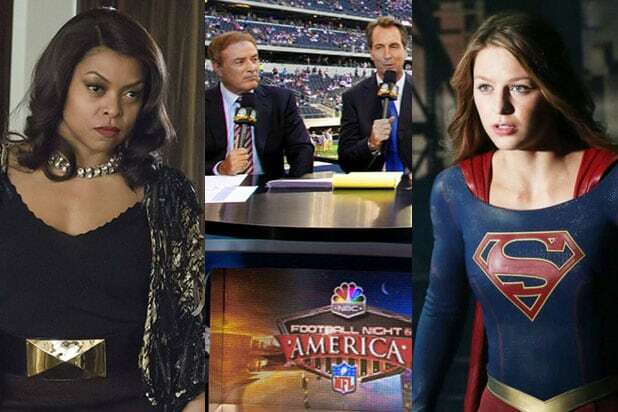 Plus, the Morris Chestnut procedural will also now have to contend with some "Thursday Night Football," which will be split between CBS and NBC. Good luck with that, Dr. Rosewood. "Crazy Ex-Girlfriend" performed pretty terribly in Nielsen TV ratings for its first year, which explains why the CW banished it to Fridays. The only problem is, that lowly viewed evening is likely to tank demo and overall eyeball numbers even further. There's only so much the critics can do to keep a darling on the airwaves. More bad news for the CW. New drama "Frequency" has been slotted for Wednesday nights at 9 p.m. Sound familiar, drama fans? That's because broadcast's top show in the 18-49 demographic, "Empire," owns that spot. "Empire" skews young, which is exactly the type of viewers courted by the CW. Good luck to you, "Frequency" -- hope you like delayed viewing! Neither "Conviction" nor "Timeless" feel like they have heads of steam following their trailers being unveiled at their networks' respective upfront presentations. "Scorpion," however, is a proven commodity. With Fox and CW not scheduling national programming at 10 p.m., it'll be the battle of those dramas -- one that "Scorpion," even in a new time slot, should have no problem winning. ABC: "The Middle" and "American Housewife"
Fox: "Brooklyn Nine-Nine" and "New Girl"
"Son of Zorn" is actually programmed in the right slot -- Sunday nights on Fox between "The Simpsons" and "Family Guy." Unfortunately, it -- like every other show that evening -- must contend with TV's top broadcast, "Sunday Night Football." Upfronts 2016: Who will come out on top in the crush of new programming face-offs?